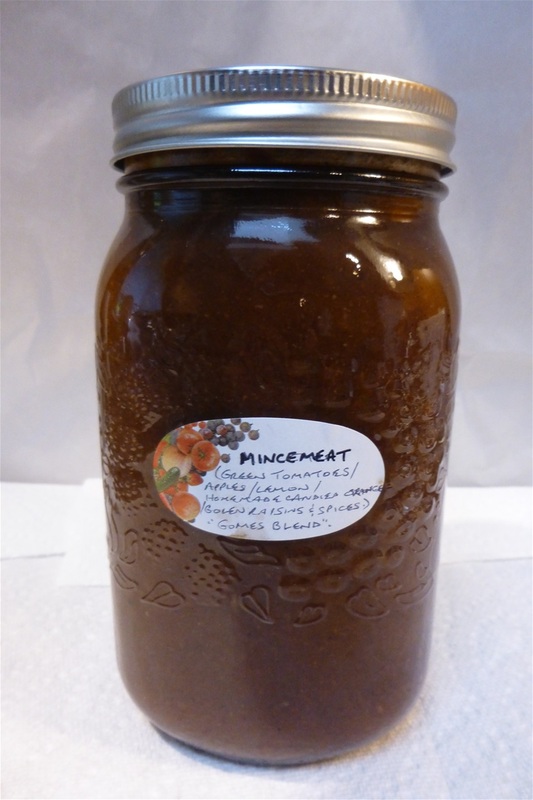 Heirloom Green Tomato Mincemeat. I made about 8, 1 litre Jars and they were fantastic. I even made candied Lemon and Orange Rind to put in it. Fantastic flavor... used as a layering in cakes and tarts.